What kind of Dentistry do you offer? Dr. Powless is very experienced in all aspects of general dentistry including family, pediatrics and special needs, as well as oral surgery, cosmetic and sedation dentistry- in office and at Tampa General Hospital. We treat the whole family! From pediatric to geriatric! We are located in downtown Tampa on Davis Island, across the street from Tampa General Hospital. We are in the 1 Davis building, the first building on the left as you come over the Davis Island bridge onto Davis Blvd. Can I get my cleaning done at the first appointment? 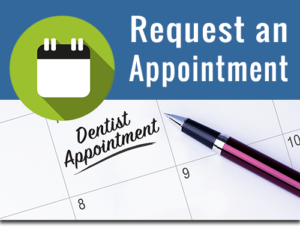 We know our patients are busy and will try to accommodate by scheduling an exam with Dr. Powless and cleaning with the hygienist on the same day. We even offer appointments as early as 7am so you can come in before work or school. Yes, we offer teeth whitening in office with ZOOM and also custom take-home trays for in-home whitening for ease and convenience as well as to maintain your pearly whites after in in-office session. For more information about specific dental treatments we offer, including Sedation, Periodontal therapy, Implants, Cosmetic Dentistry, and more see our Dental Services tab on the top of the page and choose the service from the drop-down menu that you would like to learn more about!